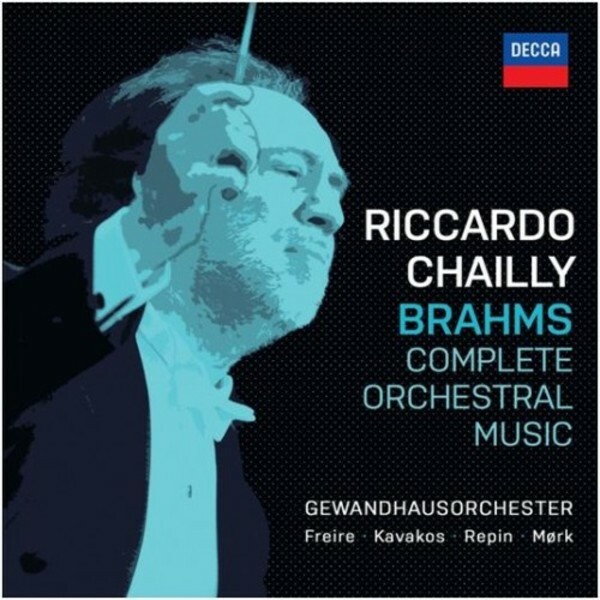 Recorded between 2006 and 2014, this 7CD set manifests the unique partnership between Riccardo Chailly and the Gewandhausorchester, and celebrates one of the greatest achievements in contemporary classical recordings. With his extraordinary attention to detail and keen ear for musical nuance, Riccardo Chailly gets to the heart of Brahms� richly rewarding orchestral music. His radical approach to the symphonies, concertos and serenades produced recordings of trademark clarity which made the Symphonic cycle Gramophone�s 'Record of the Year 2014'. Nelson Freire plays the two piano concertos.